So, you are either new to the barbering community or you haven’t changed barber shop for many years and are looking to do so. Maybe you’re a little out of practice with interviews or just simply trying to make the right impression. 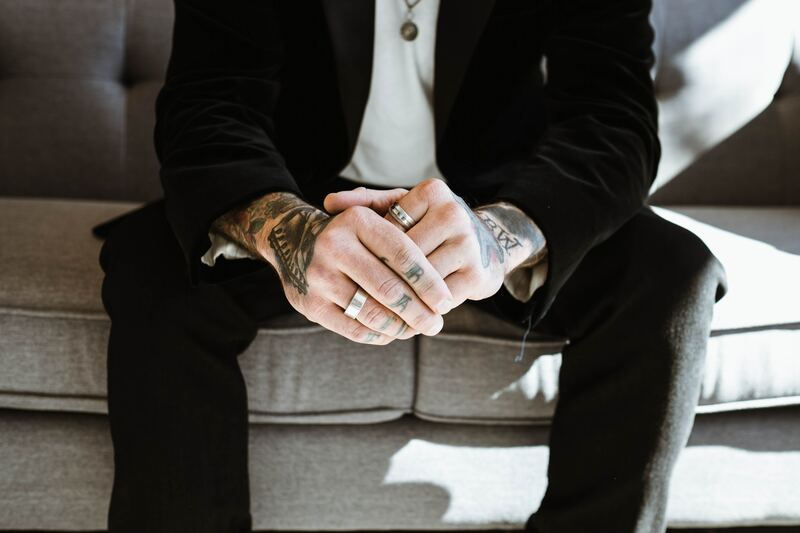 Either way, you’re here because you are seeking a job in the barbering business and we have some tips to help you get prepared. The other day I was sat in a barbershop with my partner as he got his hair cut. A young gentleman came in and asked about a job he knew was coming up in this particular shop, ut he was completely unprepared. He didn’t have a CV with him or offered to email one across, he had built up no portfolio to show off his work, and although he asked about a job, he didn’t seem overly enthusiastic. He got turned away by the owner who said the amount of people he gets coming in with no CV to even keep on file in case any barbering positions came up was far too high. So whether you are going to do the rounds in your local town to search for a barber job or you’re looking on our website, here’s our top tips to help you on your way. We are taught from a young age that we cannot apply for a job without a CV and it is a really vital part of searching for a job. It keeps a record of your qualifications, experience and achievements, and employers will want to see this to give an indication of how well suited you are to their barbershop. Don’t have a CV or want to make yours better? There’s plenty of templates if you need help with the visuals of your CV, and don’t forget to put your most recent job first – some employers are lazy and won’t read the whole thing. Don’t have a lot of experience in that job type? Remember that everyone has to start somewhere, and employers understand this. On the other hand, don’t apply for a senior position if you are only newly qualified or vice versa – it’ll be a waste of time. Tailor your CV to fit the job! If you haven’t had any experience in a barbershop, you’d have been in college and at least been in a customer service environment. Being a barber is about customer service, so make sure you include any role you’ve worked in to highlight that. Take the CV with you! You cannot get a job without a CV. If you cannot print it off at least email your CV to the employer. Even if you are doing the rounds in your local town, offering to send across your CV or taking a paper copy in shows you are enthusiastic and willing to do what you can to work. Along with your CV, it’s a good idea to always include a covering letter addressed to the barbershop. If you are stuck, there is plenty of templates online. Here is a few key points to include in your cover letter tailored for a barber. Have a think about your current experience level – are you confident styling the hair of all age ranges? What is your understanding of how a hairstyle can impact someone’s self-confidence? Are you confident advising clients of hairstyles if they are unsure or not sure about trying something new? Do you take pride in your work station? It’s so important -no matter what job you work in- to keep the place clean and tidy. Is your time management good? Why do you enjoy your job and what sets you a bar above the rest? Even if you are just fresh out of college, everyone has something to offer to a new workplace. Confidence is key! Don’t forget to give the barbershop owner/manager your portfolio to have a look at. Wether that is in a good old fashioned binder, a folder of pictures/short videos you can email across or a social media account such as instagram you can link them to. The beauty of instagram is not only the ability to quickly upload pictures and videos of your work, but also the whole barbering community can see how creative and talented you are. You may even get head hunted! If you are studying in college, still create a separate portfolio from your college one. Make the most of instagram, even if that is all you use it for, because you will get inspiration from experienced barbers and it will only improve your skill set to keep practising and trying new things. It will be worth it when you come to your barber job search. Here is a list of typical barber interview questions they may ask you. Ensuring you have an honest answer to the most common questions rather than blagging it shows confidence. Even if you have stated it all in your CV and Cover Letter, you may still be asked to expand on or go over these points. What experience do you have in barbering? How many clients do you see on a typical day? How do you build rapport with clients to ensure they rebook with you? How would you deal with a customer who doesn’t know what they want? What styles/cuts do you know? What barbering qualifications do you have? What is/has been the biggest challenge in the barbering industry for you? Why do you want to work in our barbershop? What do you know about our barbershop? How would you describe your personal style as a barber? It’s a really good idea to have some questions ready for them too. Asking about subjects such as the company’s growth, values and achievements, staff retention and whether they offer any development/training programmes. After all you, you need to know about them, you don’t want to end up working in a dead end job. Some say you can’t become a barber, you either are one or you aren’t. It’s something you have a passion for and you will build some very personal and close relationships with your clients if you are a good one. You need to come across as confident, no one will trust a shy reserved person to style their hair. On the other hand, no one wants someone over the top either. Don’t forget you have to look the part too. If you don’t have a good haircut and your beard isn’t styled neatly, how can a client expect to be leaving much better? Keep yourself presented well with clothes too. I’m not saying wear a suit, but smart casual will let your clients know you take your appearance seriously, and will take theirs seriously too. Last but not least, be polite, friendly and welcoming. You’re in a customer service role, and no one wants to have a miserable sod of a barber. Those are our tips for your barbering interview process. Stay positive and be confident! Truefitt & Hill – The oldest barbershop in the world. Utilise Our Barber Job Alerts Service To Receive An Email When Suitable Vacancies Become Available! Questions About Advertising A Barber Job or Finding Barbering Jobs? We're here to help. Visit Barber Jobs contact page and get in touch! Your number 1 source for Barber Jobs in the UK. Search by location, job type or both. Upload your CV for employers to find you. Are you a business looking to recruit great staff? Then post your job vacancy on Barber Jobs today!